Now I got the time to be a bit fancy. Been sick for a few months now and I am pumped to get dolled up back. I got 2 shoes from a local shoe designer brand, none other than Christy Ng. Known for its unique custom shoe and wedding shoes! The first one I got is a flat. A glittery flat. I wanted a rose gold champagne color but they don,t have it. So I got this one. 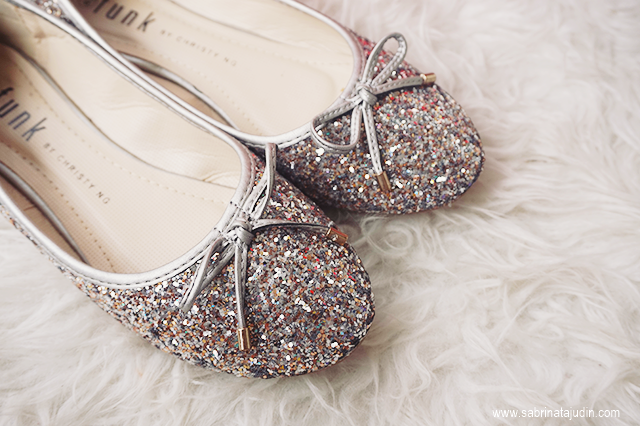 It reminds me of the Louboutin sparkle flat. haha. Without having to splurge, this looks cute to me! It is pretty comfy and I love how the chunky glitters gives a bit of a vibe to my simple look. The second one I got is this lace purple heel. You can never go wrong with lace shoes! Christy Ng sells and offers wide variety of shoes. They have a lot of design to choose from and they are ready stocks. They also have ready to wear clothes such as bridesmaid clothes and unique selections of bags. You got to check out their signature fan clutch. Super gorgeous! All I can say is if you are looking for that perfect wedding shoe. They have a lot of choices for you! More than you can imagine. You can also design your own shoe! 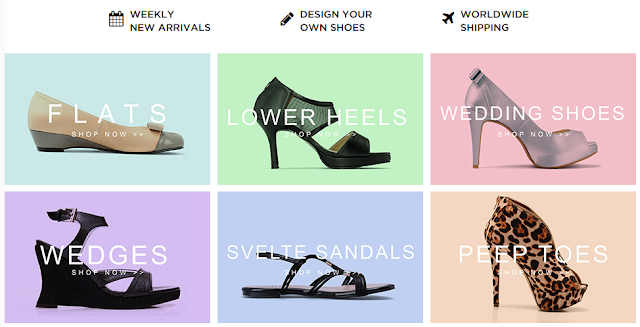 this is great for shoeholics ! aah, suka glitter details tu!